There are no hotels at Copper Mountain. All the units are independently owned and rented thru different agencies. There are A LOT of perks when booking directly with Copper Mountain I will list in a few. When picking your accommodations, the peaks on the website are ratings and the higher the rating the more $$, owners get rated on recent renovations etc. We stayed in a two bedroom condo in Passage Point, which is located in Central Village. The mountain is split into three areas, West, Central and East Villages, and the ski runs are broken up the same which helps keep expert and beginners out of each others way. Unlike some ski resorts where the greens are mixed throughout, someone like myself can get lost easily. The West Village is the place for beginners as ski school is located here as well as the beginner runs. There is a free shuttle service that takes you to the different villages. The vacation specialists are very helpful and once you book your lodging, you can call or email that specific sales person to help you get the best prices on lift tickets, lessons etc. It is sort of like your own personal concierge. 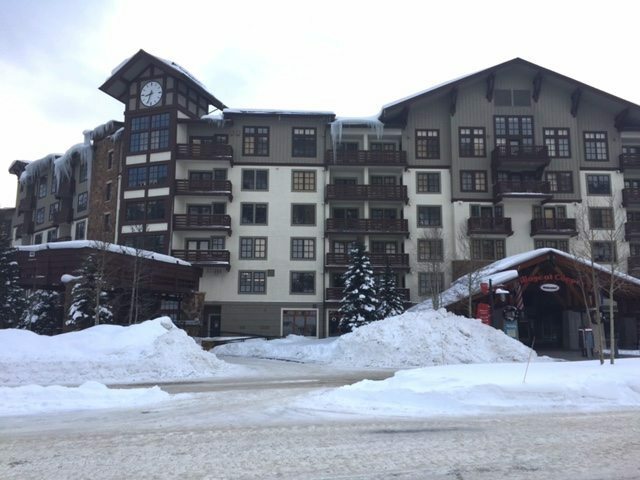 For more detailed information check out their Copper Mountain 101 information. One thing we realized after only a few hours on the mountain and talking with veteran ski instructors and staff, this is a no fluff ski mountain. People are here to ski, not to be seen. Go farther west if that is your goal. The staff is very attentive but you will be carrying your own equipment and storing them in lockers on your own. No pretentious ski outfits either. I never saw so many football jerseys on a slope, it is casual here and the main goal is getting good skiing. We did not experience long lines at the lifts and the terrain was exceptional. Four out of five of us went to ski school. The only option is all day, 9:30 to 3 for kids and 10-3 for adults. Of course, privates are always an option as well. Lodging: 3rd night of lodging FREE – up to 33% off lodging stays of 3 nights or more. Discounted prices on other activities such as tubing. *An Adult 2 day lift tickets is required to qualify for this package and is automatically added to your cart. *Larger units receive a 25% Discount. On a side note and hopefully something you will never have to experience, but Copper Mountain has an amazing Ski Patrol and ambassador program. I got hurt on a run and felt I could not get down due to instability in my knee. After a few minutes waiting on the run, two volunteer ambassadors took over, secured my location and called in the incident. Shortly after, although they were backlogged, I was greeted by ski patrol who quickly assessed the situation then loaded me in a sled down the mountain. Not my proudest moment but he stayed with me until I was given a room in the Copper mountain Clinic where I was surrounded by efficient and professional medical personnel. I have a torn MCL and will follow up with an ortho when I get home. If the kids are not tired enough after a long day of skiing, take them to Woodward for some indoor extreme sport training, or just some trampoline entertaining. My kids had an hour of “coaching” and then they were allowed to use the trampolines on their own. 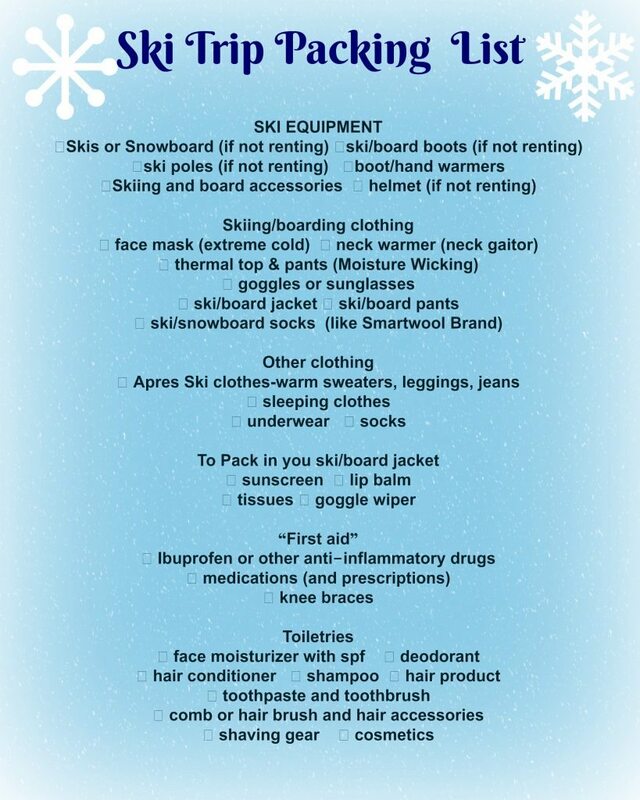 Before heading out on your family ski Trip, be sure to download our Ski Trip Packing + Printable Download so the kids can help out too. So now have I convinced you to check out Copper Mountain for your next Family Ski Vacation? our condo did have a fireplace where I hung out the day after my injury. Oooo I’ve been to copper mountain with my family before. Had a great time!!! Then again I love anything to do with skiing! Sounds like you had a lot of fun and there are so many offers. Loved it!! I’ve never been skiing in my life. This looks like a lot of fun! Is it hard to learn? I’ve never been on a ski vacation before but I would love to go one day. So I will definitely keep this place in mind? Looks like an amazing place to have a vacation! 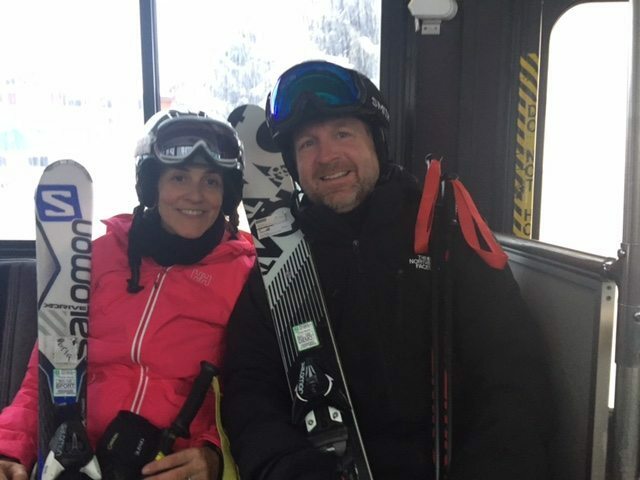 WE love to ski! Hopefully next year! We’re going to have to check it out. We’ve spent the last few winters in Bend, Oregon. But we were looking into Colorado for next year. Thanks for the tips. That sounds like a great winter escape. The trampolines look like something I would enjoy!